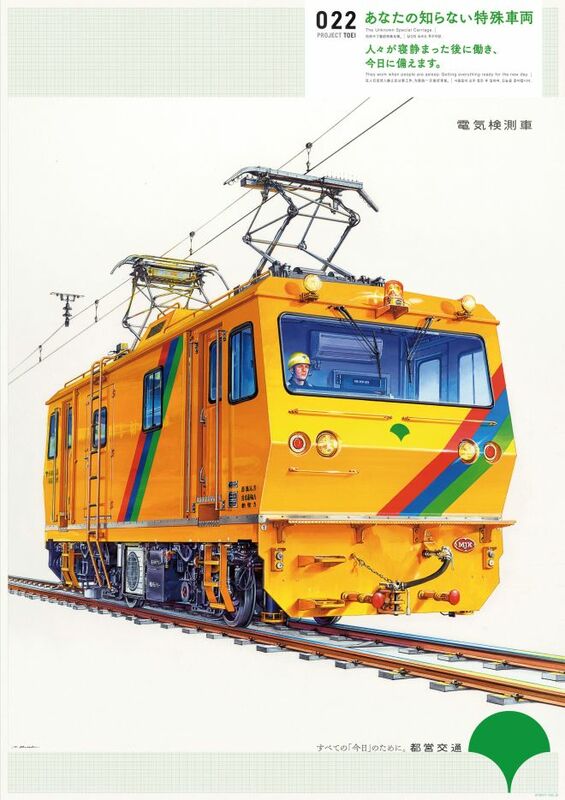 A special vehicle poster created by the Tokyo Metropolitan Transportation Bureau. At first glance it looks like a photo, but it is actually a hand-drawn illustration. The author is Atsumi Onishi (74), a leader in plastic model box art. We asked Mr. Onishi, who told us, “I thought about the meaning of being asked” not with photos or CG but with illustrations “. A poster of “PROJECT TOEI” published in the Toei subway station etc. It is a part of the plan to send out the city’s transportation system. Three posters numbered as “022” representing the 22nd bullet have been posted since March 18th. What is drawn are all special vehicles operating mainly in the middle of the night. A “rail trimmer” that grinds the head of a rail with a grinding wheel that rotates at high speed. 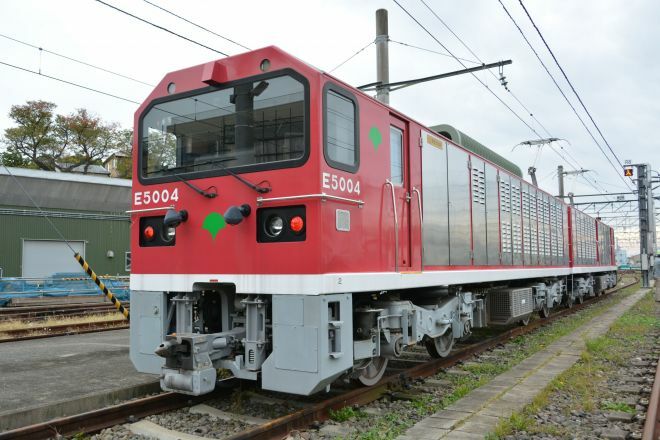 “Electric locomotive E5000” for towing vehicles on the Oedo Line. 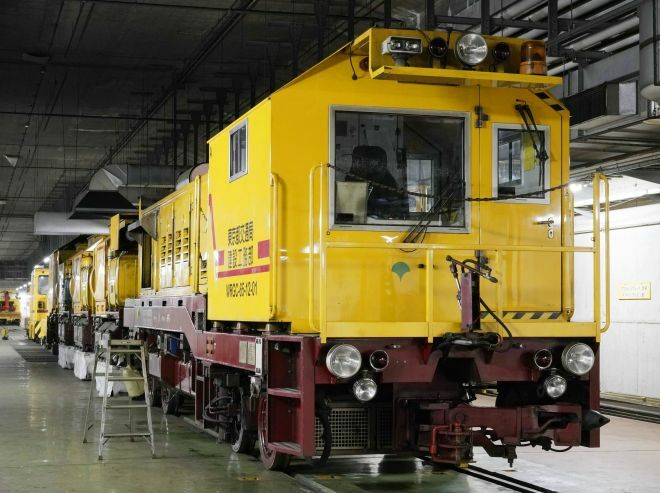 “Electric inspection vehicle” that checks the overhead wire that supplies electricity. These vehicles drawn in detail. Just looking at the package seems to be a photo. 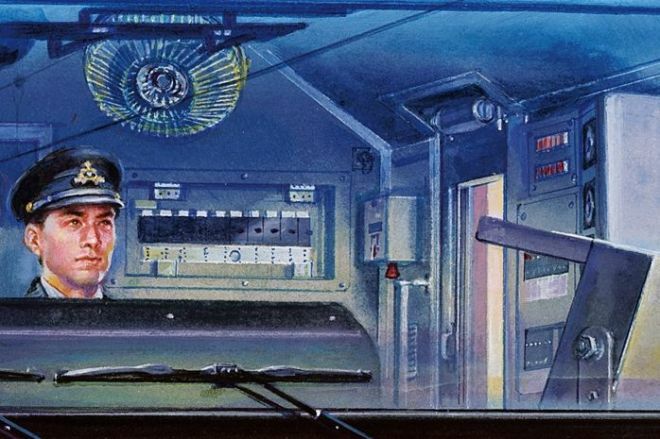 The artist who drew these vehicles is Atsumi Onishi. After joining Tamiya, he worked as the company’s first illustrator. Even now, I am working on many box arts. 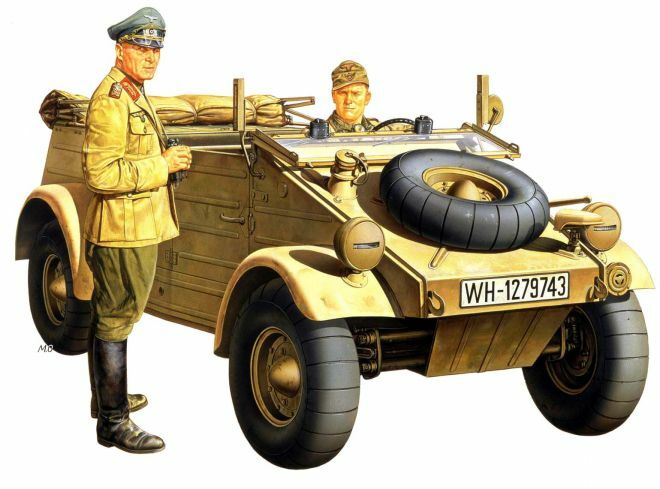 In addition to the military genre, he also worked on packages such as the popular “Miller 4” “Emperer” (the first generation), which made a big hit, as well as working on the “White Package” that drew precise illustrations of tanks and planes on a white background. 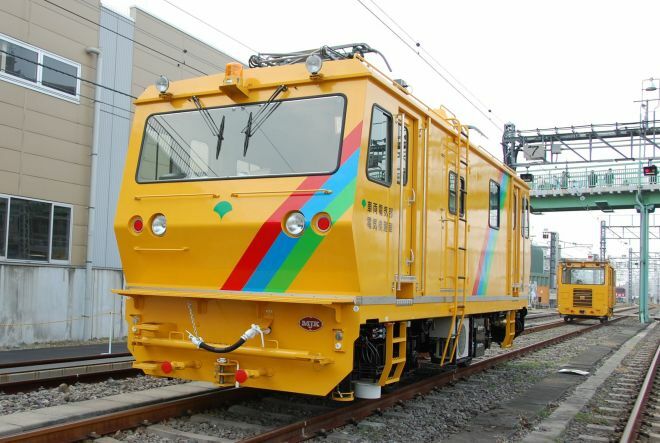 The person in charge of the Tokyo Metropolitan Transportation Bureau explains the reason why I asked Mr. Onishi for illustrations of special vehicles. I would like people of all ages to look at “work vehicles” that you do not normally see. For that purpose, he chose not to take photographs but to select illustrations that can make the object appear more symbolically through elaborate illustrations. Request illustrations by specifying 3 vehicles selected by the difference in function from the Transportation Bureau side. 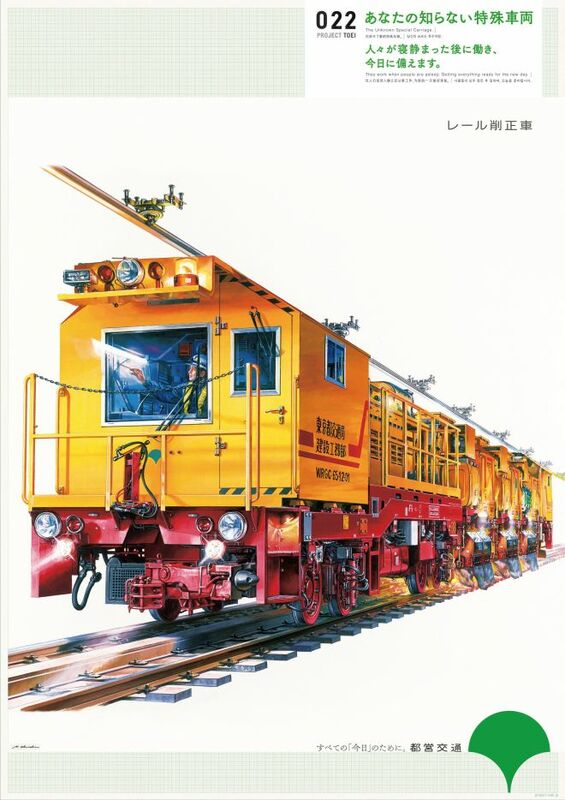 Onishi asked Mr. Onishi to show “not just drawing a vehicle, but an illustration like a scene where a vehicle is working”, and was carefully interviewed to see the actual vehicle and interview the site staff. It seems so. 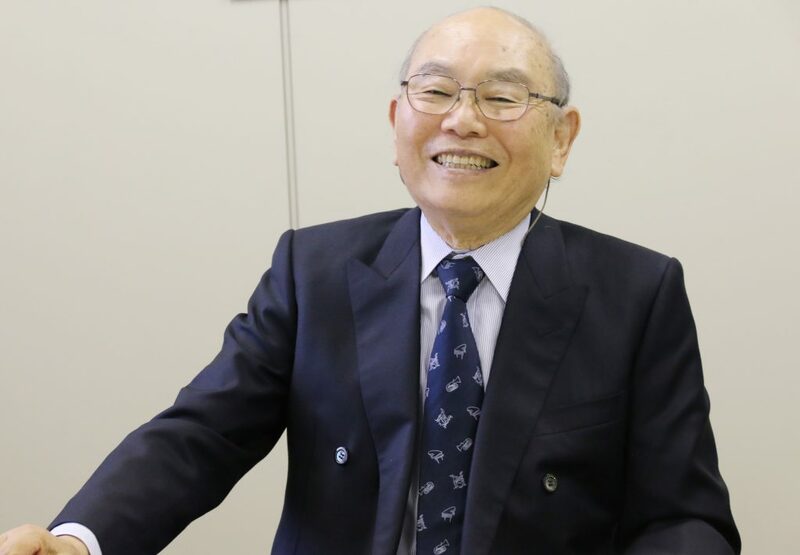 Mr. Onishi looks back on what happened during the interview. “I actually took a picture by having the pantograph moved, etc. I am drawing and knowing that” I am troubled here “in advance, so it’s about an hour,” Onishi thought It was such a thing. The answer that Mr. Onishi gave was “Don’t be smart, draw more honestly than usual, and have them see where they can not be seen”. Even the part which becomes a shadow even if it takes a picture with a photograph or is crushed is elaborately. The switches on the back of the driver’s seat, the cables around the wheels, and the letters written on the parts were also reproduced. Even though it is real like a photograph, it draws to the part which is not reflected in a photograph. These three posters were completed in this way. 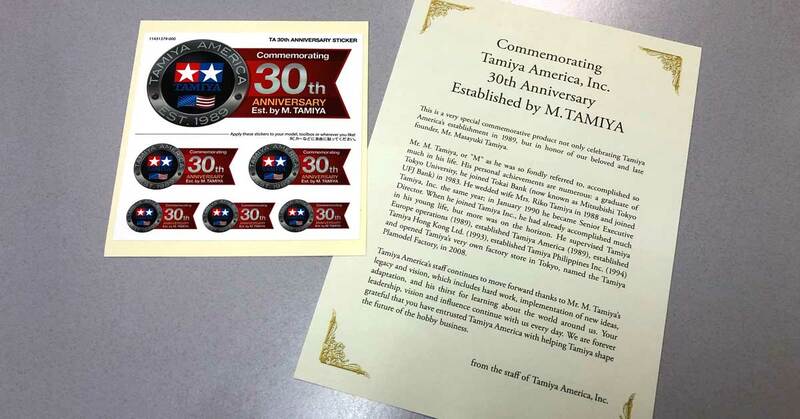 This entry was posted in Media, Tamiya Company on April 20, 2019 by admin. The first mini four-wheel drive that appeared in 1982. It is a long life hobby that reaches the 37th year in 2019. Why does this make people so addicted? Beyond the real world, the mini 4WD has also appeared in manga many times. At that time, children who were children grew up to be adults, and the “Mini 4WD World” has been passed on from parents to children. Why is it getting popular after overcoming the epidemic? 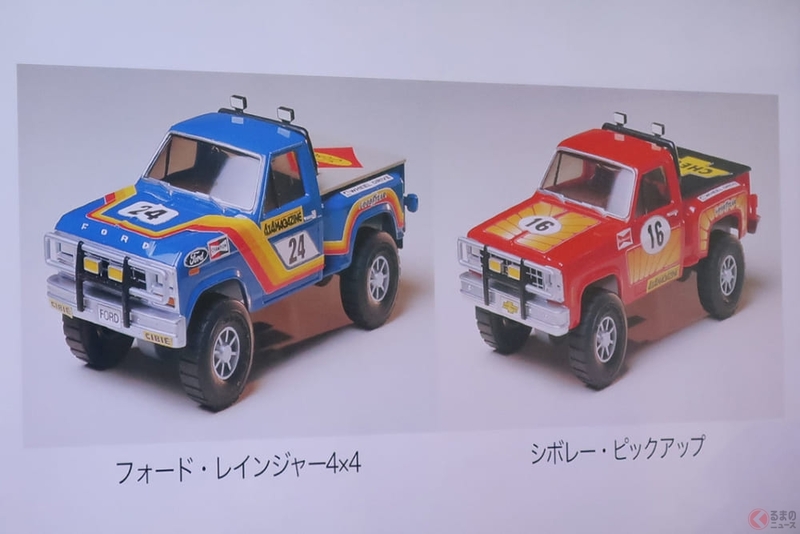 Even now, in addition to serializing in a number of manga, the Mini 4WD, which is held in numerous competitions throughout the country, is the “Ford Ranger 4 × 4” released by Tamiya, Inc. in 1982 and the “Chevrolet Pickup 4 The history starts from × 4. At that time, Ford and Chevrolet pickup trucks were popular models and appeared as the first mini-four-wheel drive featuring a four-wheeled runnability. 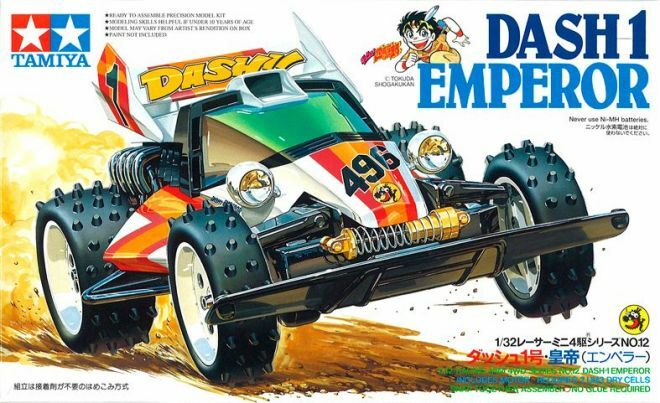 Then, in 1987 the theme of the mini 4WD manga ‘Dash! Shikichiro] (Tokuda Zaurus / Shogakkan) has started serialization and will gradually gain popularity as it is animated in 1989. At the same time, we held the “Japan Cup”, a national tournament for mini 4WD, and promoted it in various ways including the appearance of the original character “mini 4 fighter”, but the end of the animation and mini 4WD With the growth of the main layers of the first mini 4WD boom comes to an end. After that, the manga “Batsunichi Brothers Let’s & Go ! !” (Tetsuhiro Kotatsu / Shogakukan), whose serialization began in the middle of the 1990s, reignited again and became popular again nationwide. This is the second boom of the Mini 4WD. After that, with the various effects such as the end of animation, the growth of children, and the play of other genres as well as the first boom, popularity has fallen and the second mini 4WD boom will end again around 2000. Since 2000, although the popularity has fallen, the mini 4WD genre has been established by the holding of official tournaments and various activities at various places, and supported by some fans. In around 2010, the third mini 4WD boom will be the result of major layers that were enthusiastic at the time of the 1st and 2nd returning to the Mini 4WD again and reselling products from that time etc. It’s coming. Around this time, we will establish a business model as a “Mini 4WD to be enjoyed by parents and children,” such as showing the children’s interest in the Mini 4WD in addition to the main group at that time. In addition, the sales strategy targeting the father of the company return seems to be successful by opening Tamiya’s official shop “Tamiya plastic model factory Shimbashi” in 2008 near Shimbashi station in Tokyo. The Mini 4 Fighter explains about the still popular “Mini 4WD” as follows. 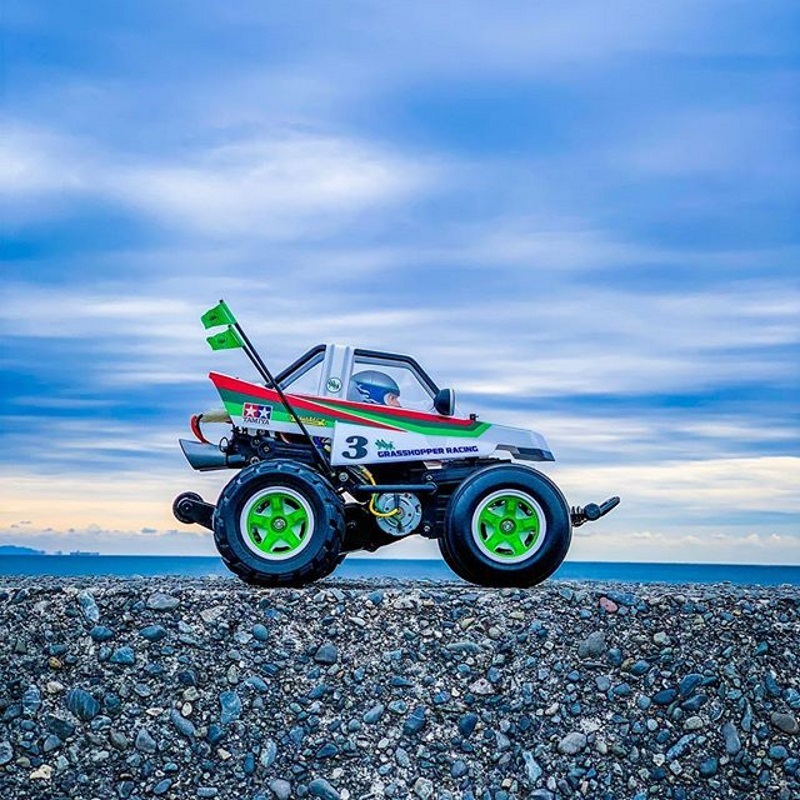 More than 300 types of Mini 4WD and more than 400 types of upgraded parts have appeared in 37 years from the first Mini 4WD in 1982 to 2019, and a steady walk with customers of Mini 4WD users as Long Life Hobby I have repeated it. Communication that talks about Mini 4WD on SNS through the Internet and smartphones is increasing regardless of the country or age. In addition to sharing and exchanging the fun of Mini 4WD, many users and communities that host and host races can now be seen. Among them, the contents and scales are diverse, from small-scale ones such as “manufacturing workshops” to large-scale race events such as hundreds, and they show miniaturities different from official competitions. The way to enjoy 4WD is even more widespread. In addition to making announcements of such events on Tamiya’s official website and official application, we are supporting by renting the tournament banner. 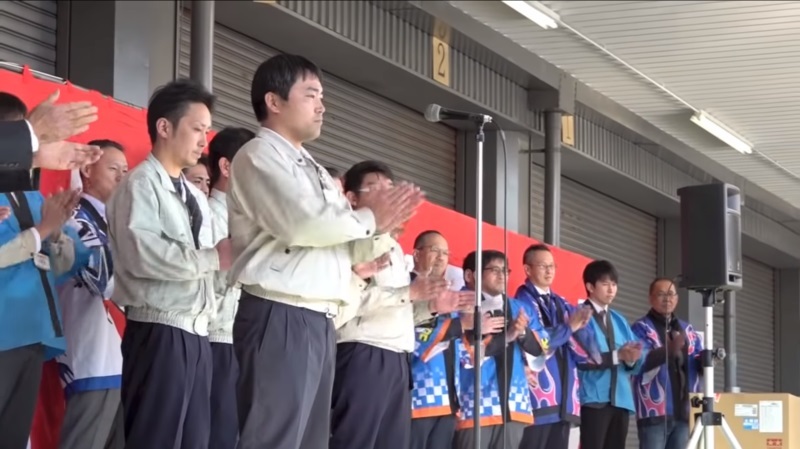 In addition, we hold event hosted by mini-shikashi station of permanent store of circuit with approximately 500 stores in the whole country and hold thing more than 2,000 times a year when we put thing of Tamiya sponsors together. By making contact with local dealers and customers, we are activating the Mini 4WD. Mini 4WDi supports the popularity of traditional toy-only children’s toys, which have evolved into community tools that involve adults. From the mere “play” in pursuit of speed, “miniaturism 4 mini” that “connected fun” also became an element of the play triggered by various aspects. In the future, there will be a “mini 4WD app” that can be enjoyed on smartphones, and there may be an arrival of the fourth boom. 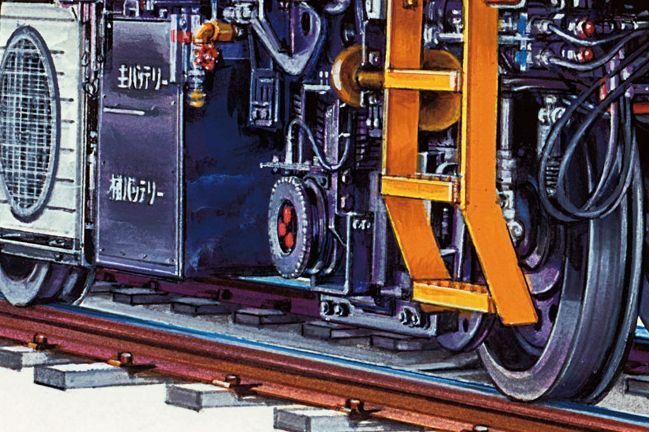 This entry was posted in Opinions, Tamiya Company, Vintage on April 17, 2019 by admin. The combined store, which combines plastic goods and cafes, enters Busan. 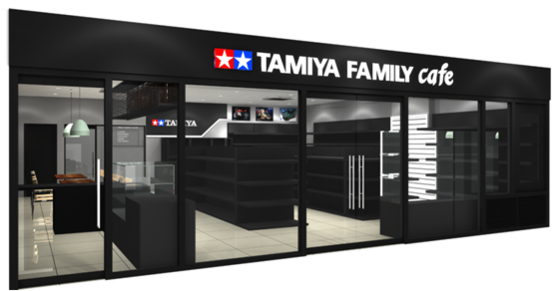 Tamiya, a model specializing company, announced on April 4 that it will open ‘Tamiya Family Cafe’ at Lotte Factory Outlet located in Busan, Korea. The Tamiya family café is a combination of a café and a model merchandise store. Inside the store, there is a resting area where you can enjoy food and beverage, and a model sales corner that sells plastic models, RC cars, and mini 4W D items. On the side of the store is a track for a mini-car game. To celebrate the opening of the Family Cafe in Korea, Tamiya Korea sells a Tamiya model at a 10% discount, and offers a mug with a Tamiya logo on shoppers over 50,000 won. 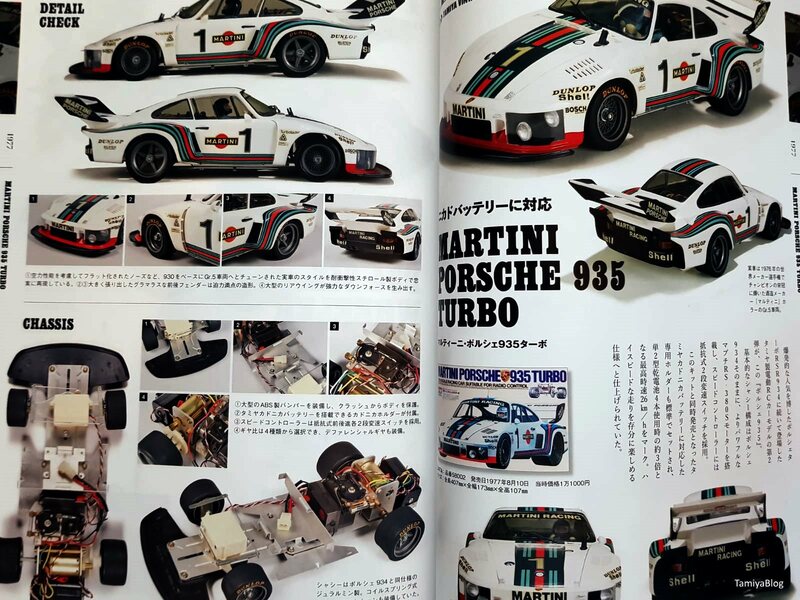 This entry was posted in Tamiya Company on March 10, 2019 by admin. 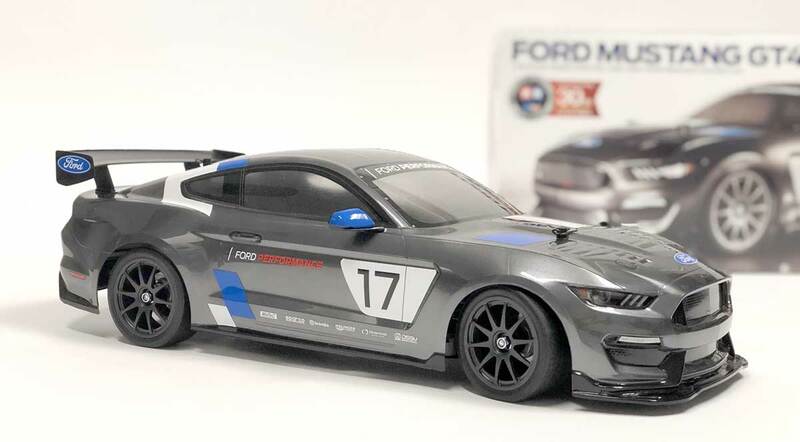 To commemorate Tamiya America’s 30th Anniversary (and honor our late founder, Mr. Masayuki Tamiya), we’ve released the Mustang GT4 modeled after the full size car meant for sports car championship racing series (like IMSA Continental Tire Sports Car Challenge). In addition to the box markings, there is also a commemorative sticker and literature sheet included. Inspired by the Ford Shelby GT350R-C, the Ford Mustang GT4 has been designed and engineered jointly by Ford Performance and Multimatic Motorsports to compete in sports car championship racing series globally, including the IMSA Continental Tire SportsCar Challenge, Pirelli World Challenge GTS/GT4, and GT4 European Series. The Tamiya Ford GT4 faithfully captures this sleek racing car as a 1/10 scale radio control replica. The highly-detailed polycarbonate body sits atop the easy-to-build Tamiya TT-02 chassis that you can customize for added performance! The shaft-driven 4WD TT-02 chassis employs a longitudinal layout with the battery on the left and the motor on the right, to give excellent stability. In addition, it features identical left and right suspension arms and uprights for ease of assembly, plus easy-to-maintain gearboxes. It is a highly adaptable chassis, as it offers 2 different wheelbases, 2 ground clearance settings and 2 tread set-ups in addition to a range of 10 possible gear ratios. It is not short on looks either, with brake disc-shaped wheel hubs and stylish front bumper supports. •	1/10 scale R/C model assembly kit. Length: 459mm. •	Polycarbonate body was designed with access to the actual car’s CAD data for superb accuracy. Front and rear light cases are also molded in polycarbonate. •	Wheel arches are pre-cut out for a simpler body assembly experience. •	The beginner-friendly, highly adaptable TT-02 is a versatile and easy to maintain shaft-driven 4WD chassis. •	Separately molded plastic components depict rear wing and side mirrors. •	Racy 10-spoke wheels are molded in gun metal and paired with slick tires. •	Stickers are included to create an original livery, as are masking stickers for use when painting. •	Includes Tamiya Torque Tuned Motor. •	Includes Tamiya TBLE-02S ESC (electronic speed control) Capable of running sensor brushless motors and brushed motors alike. (21.5 Turn BL motor limit) (23 Turn brushed motor limit. •	Requires: 2-Channel Radio, servo, 7.2-7.4volt battery pack & compatible charger, and Tamiya PS paint. This entry was posted in Future Releases, Tamiya Company on February 5, 2019 by admin. 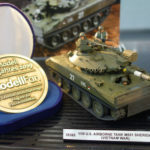 The selection result of “Model des Jahres (model of the year)” selected by German scale model speciality magazine “Modell Fan” was announced at the “Spielwaren Messe” venue. This award is selected from among the new models released in Germany in 2018, the best models of each genre are selected by the selection committee of “Modell Fan” magazine reader vote and editorial staff. 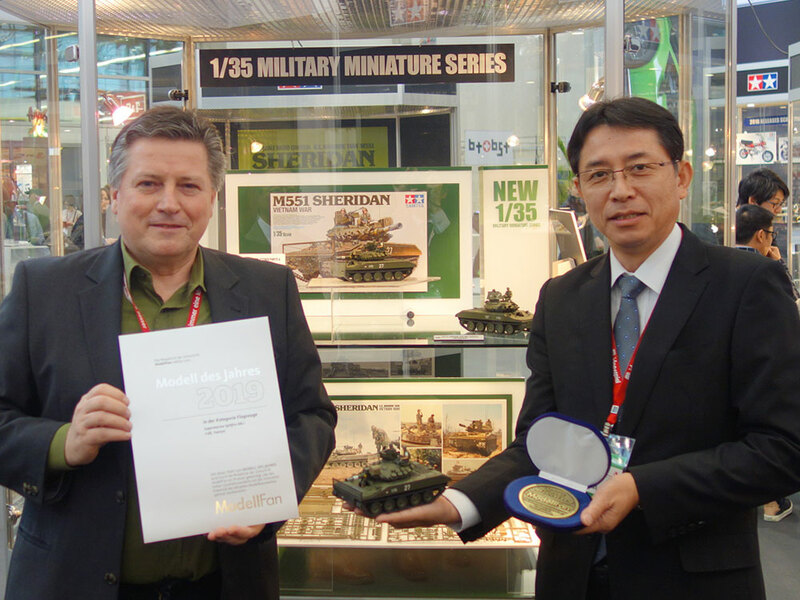 This time, “1/48 Super Marine Spitfire Mk.I” “1/35 American Airborne Tank M551 Sheridan (Vietnam War)” was awarded. 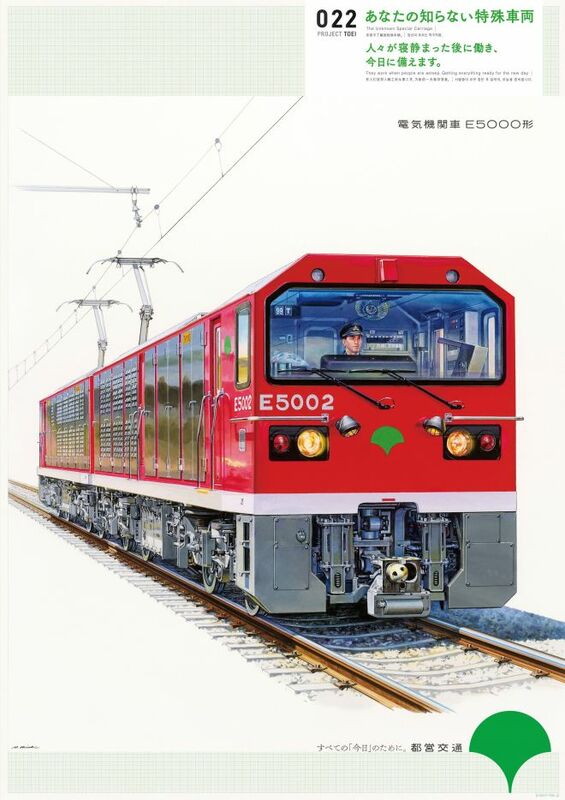 In addition, 2018 excellent model award selected by miniature model speciality magazine “Modell-Fahrzeug (model vehicle)” which handles car and motorbike scale model · RC · die casting, slot car etc. 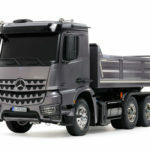 widely “Model Fahrzeug des Jahres” as “1/14 electric RC Big Truck Series Mercedes · Benz Arocs 3348 6 x 4 Dump Truck “. In addition, he received “Best Brand Award” as Tamiya. The results of the 2018 Modell des Jahres (Model of the Year) have been announced by German magazine Modell Fan has at Spielwarenmesse! 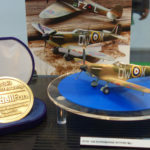 Tamiya is delighted to report that our 1/48 Supermarine Spitfire Mk.I and 1/35 US Airborne Tank M 551 Sheridan “Vietnam War” both both honored with the awards, chosen by the magazine Modell-Fahrzeug awarding our ground-breaking 1/14 R / C Mercedes-Benz Arocs 3348 6×4 Tipper Truck model the 2018 Modell-Fahrzeug des Jahres award, and Tamiya itself a Best Brand award. 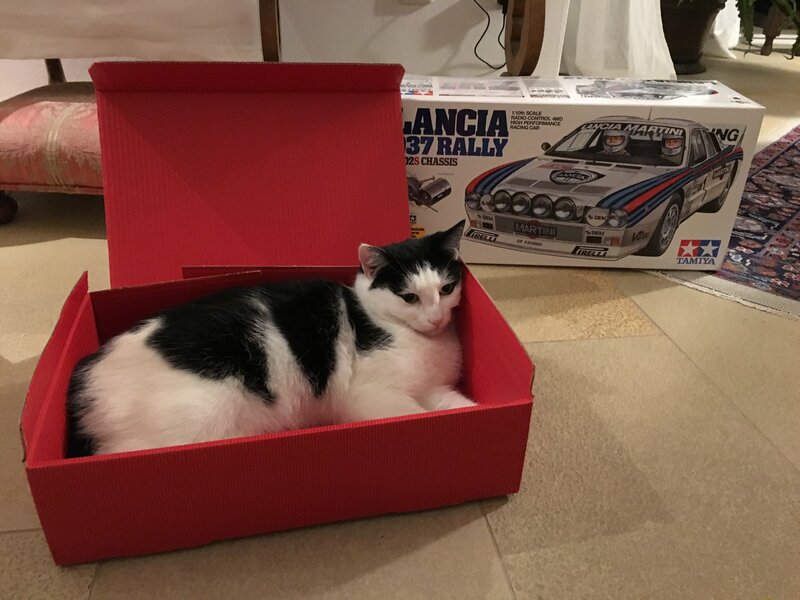 This entry was posted in Event Report, Tamiya Company on February 1, 2019 by admin. Heisei* 30 years marked the 60th anniversary of the birth of a domestic plastic model. Plastic model was born in 1945, I joined the “Tamiya Shoji jointly-owned company” (Shizuoka city) my father developed in that year. Shizuoka was originally a land of wood industry, and my father’s company was also making wood-based models for teaching materials, and models of warships and tanks. At that time the model was a wooden model. However, around the time he entered the company, the domestic plastic model began to be released, and it was a big boom in a blink of an eye. Unlike the previous wooden model, the plastic model does not require Kanna and fleas, it is completed by separating the parts from the frame called runner and attaching it with adhesive. Easy to make for children. Reproducibility of detail and real feeling were precise things not found in the wooden model. Instantly the wooden model can not be sold and we have decided to switch to a plastic model maker. However, it was not so easy to create a plastic model that is supported by children. We repeatedly failed and released Panther Tank of German tank in the New Year of Showa** 37. The model of this tank runs well on a futon or a sandbox with a motor. We finally got confidence that we will be doing as a plastic model manufacturer as well. This “to run with a motor” may be called the origin of Tamiya. After that, following tanks, I made various models such as zero fighting and Yamato. “Tamiya’s kit is wonderful” received high praise from home and abroad. Particularly noteworthy from overseas was the 1/12 precision scale model of Honda F1 released in 1964. But in the Showa 50’s when video games began to spread, children began to see games that can be enjoyed simply by pressing buttons, and the plastic model departed. So, once again, I repeated planning meetings inside the company to make a plastic model that even elementary school students can return to the origin and enjoy. It is around the end of Showa era. And it was a mini 4WD that was completed. The mini 4WD is a simple model with a motorized four-wheel drive car model that runs with AA batteries built in. This also repeatedly trial and error, it became accepted by children several years later. Children feel great joy in running on motor with what they made with their own hands. And I was very interested in being able to compete among children. To make a mini 4WD, all the basic work processes such as cutting, shaving, opening a hole are included. As children make mini 4WD, we will master how to use tools such as cutters, drivers and drills. There is also a process that is not in the instruction manual, such as thinking and remodeling by myself, increasing the performance. The first boom of Mini 4WD was around Heisei** 2 from the end of the Showa era. Next time a big wave came from 1996 to 1998. Recently it has become a series that can be sold steadily at all times. Because it is also prevalent in countries in Southeast Asia. At our company, we are holding a mini 4WD racing competition as much as we can say weekly. When going there, children try to think for themselves and try to run as fast as 0.1 seconds. Sometimes there are ideas that adults can not think of. I think that children are a genius of play again after all. At that time we come to the venue with family members and we often see parents who are tune up. We thought that we developed a mini 4WD in that we sold it to children, but adults are also crazy about it. It was evolved into a thing to play with family as a matter of fact. This was a fresh discovery. Such pleasures are making the analog plastic model (= mini 4WD) popular in the digital age. Aside from the mini 4WD, the solar car that the employee in 1991 figured out was also talked about a while ago. It was the world’s first model car running on solar power. In this year alone it became a big hit product to sell 200,000 sets, and received various awards. In addition, I was very happy when Dr. Hawking who visited Japan at the academic year in the year when he was told that he bought this solar car at the Tiannihodo in Ginza. This made us realize the possibilities as a teaching material of the plastic model. As in the case of former wooden model, may not it be possible to have a teaching material set of plastic model for children. With that kind of thought we released a work series. This is prepared with various gears, battery boxes, remote control boxes, plus plastic boards, plaques, etc., in order to let children shape ideas inspired by their heads. By combining these, you can make remote control robots to move solar cars, arms, walking robots that respond to sounds, and so on. Thanks to you, employees may be called to school business trips and teach. In 1990, we taught the work using mini 4WD at the royal school of Saudi Arabia. In 2007 we made a cam program robot. Although this is a robot that moves with the built-in motor, you can move it as you want by inserting a bar programmed by yourself in the center of the torso. As you develop the program bar, you will gain logical thinking and creativity. It is unknown how this robot evolves, but at the next stage it may get stuck with PCs and foundations. In this digital era, children will learn various things and grow by making plastic models including analog mini 4WD. A plastic model is indispensable for Japan’s tradition of manufacturing. Tamiya will continue to support the children from now on. 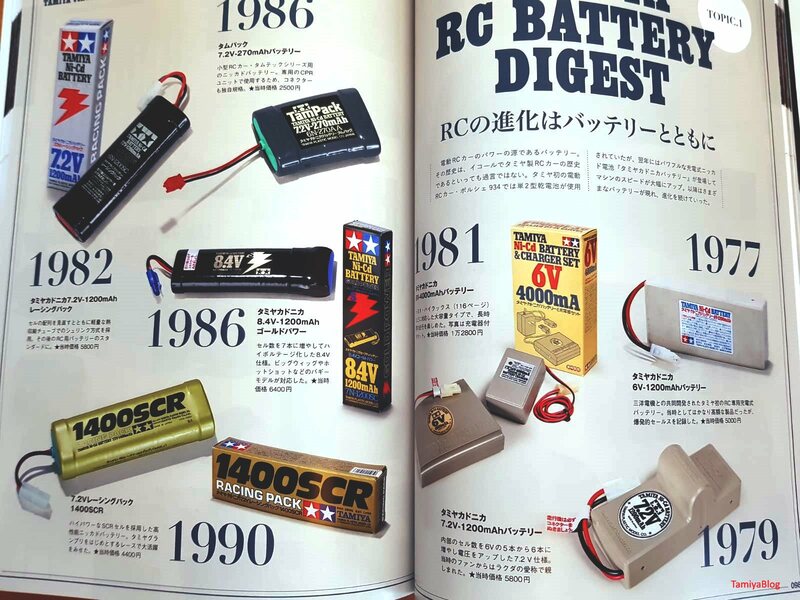 This entry was posted in Media, Tamiya Company, Vintage on January 15, 2019 by admin. 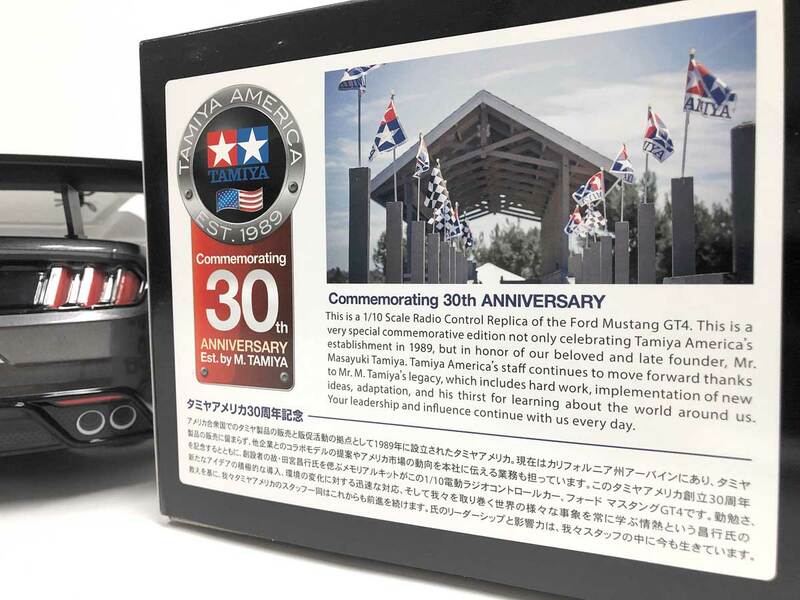 This entry was posted in Media, Tamiya Company on January 14, 2019 by admin. This entry was posted in Event Report, Media, Tamiya Company on January 5, 2019 by admin. It seems like it’s totally cozy in there. Dear friends, I wish you all a Merry Christmas Eve and Happy Holidays. Take your time for family or friends and enjoy these relaxing Christmas holidays. We just had some presents and our Maxi was already eating his treats. 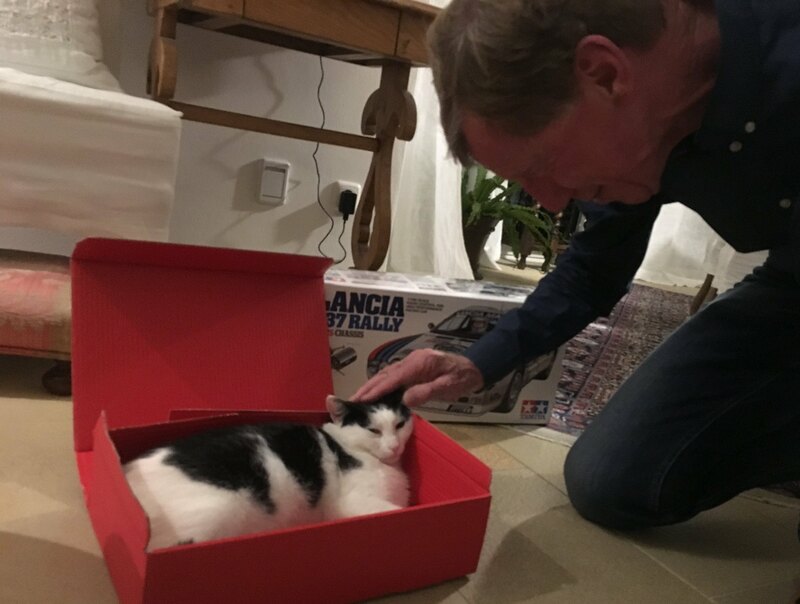 But what he likes most is the gift box. We wish you a Merry Christmas. Our Maxi will probably stay in there for Christmas…. This entry was posted in Event Report, Media, Tamiya Company, Vintage on December 26, 2018 by admin. 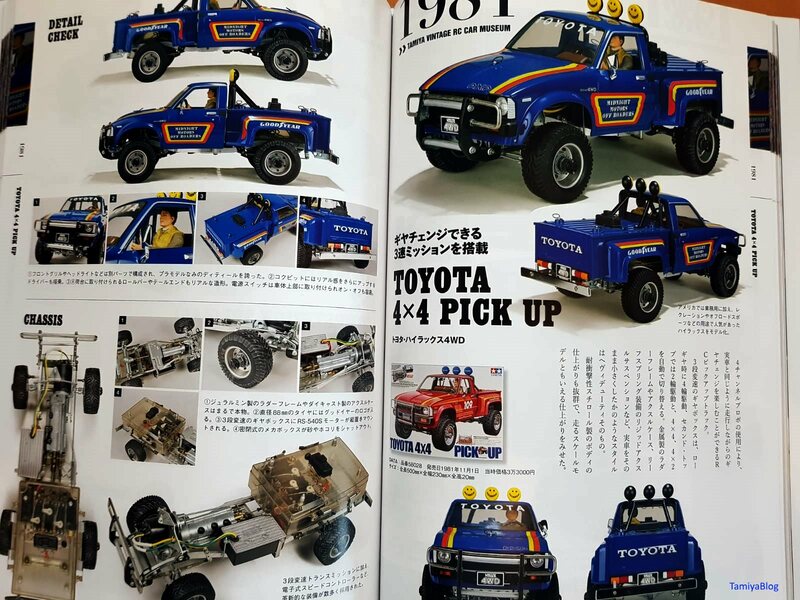 This entry was posted in Media, Tamiya Company, Vintage on December 25, 2018 by admin.